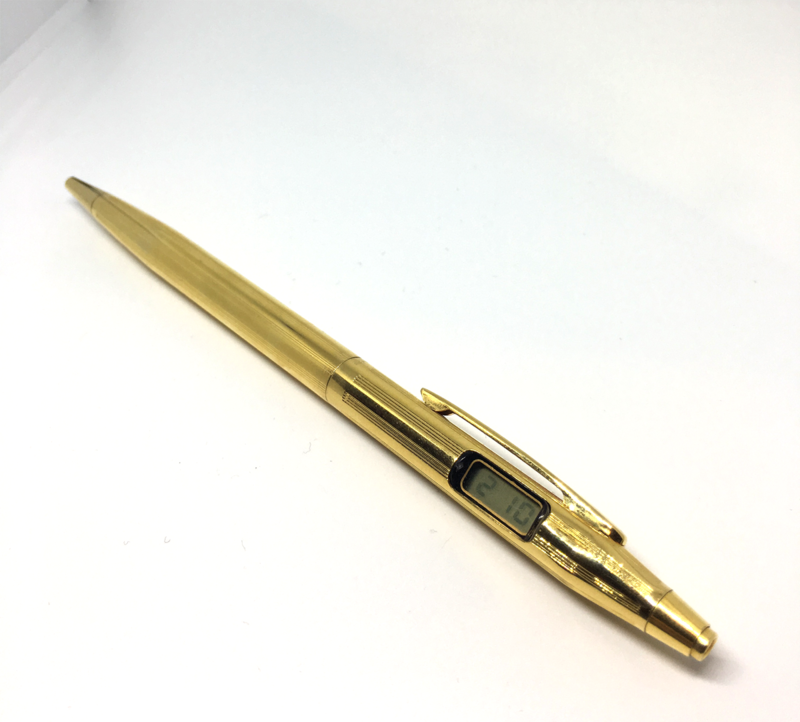 These LCD watch pens are extremely popular here at the site, and this is a cracker! 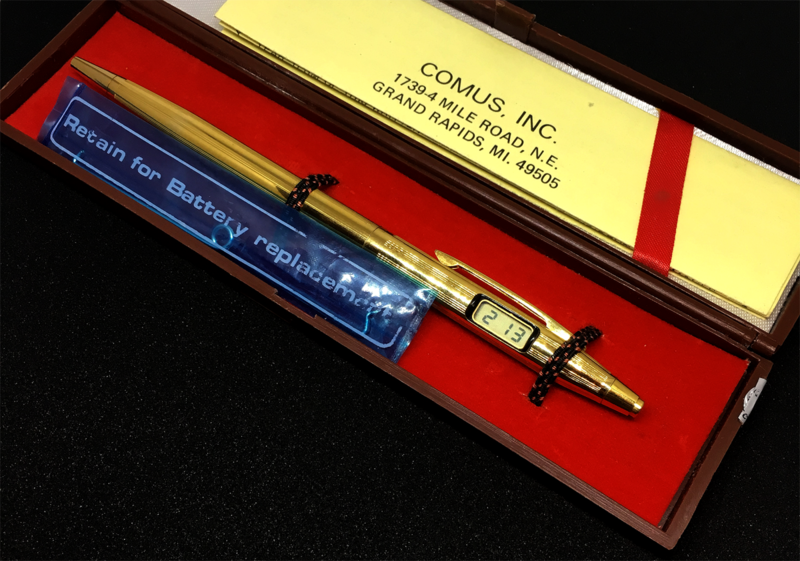 Original box, even adorable original little baggie for the metal rod to help change the battery! 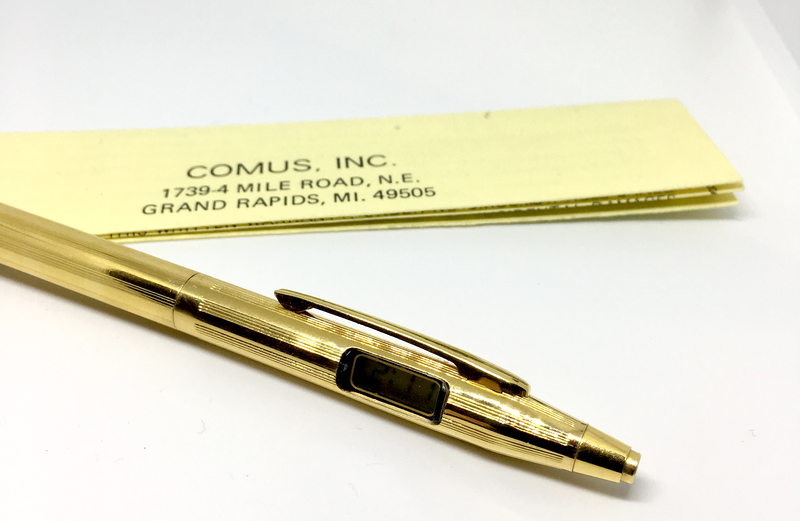 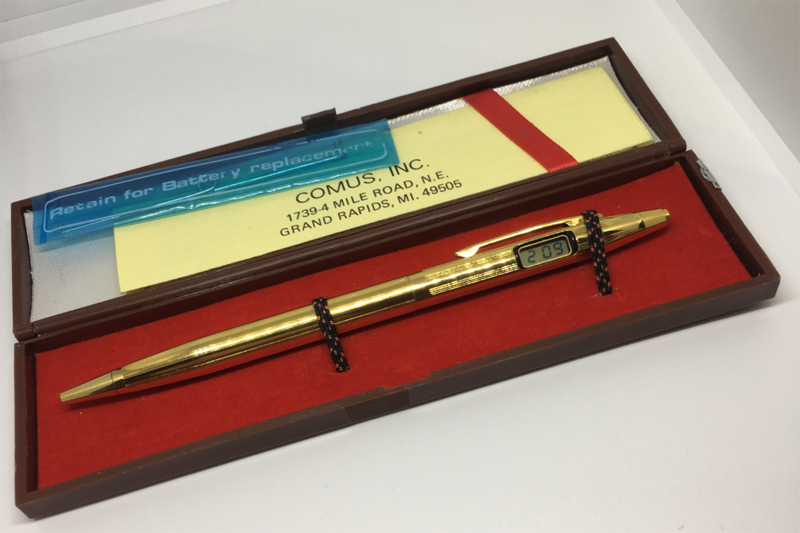 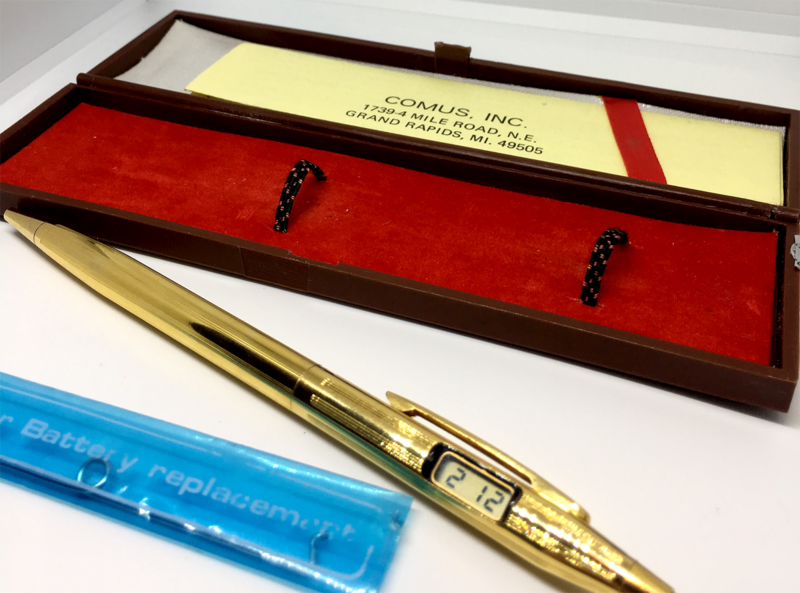 The watch pen is in gold, comes in the original box with original paperwork. 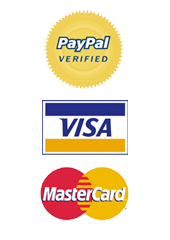 Watch function is working fine. 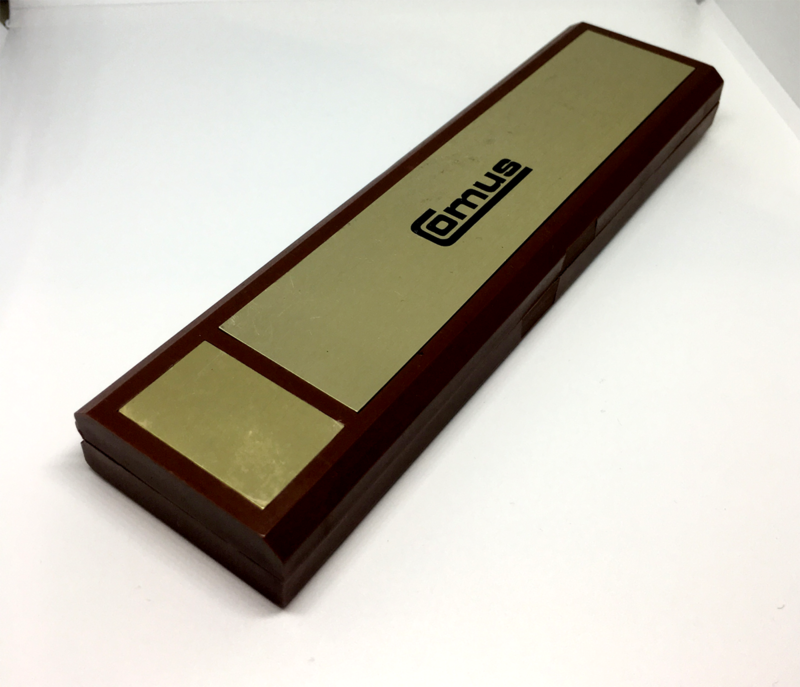 Get in quick – only one of these in stock.